Today most of us are using smart phones and ‘Dialer’ is mostly pre-installed in the smart phone devices. Of course there are devices which do not have calling facility and are meant for browsing internet only. If one has not purchased the device to browse internet only, he/she has to use dialer more often. The Stock Dialer allows making and taking calls, however, it is often basic and un-innovative. Instead, you may switch to another dialer with more functionality. App Gyaan is hereby recommending the Five Best Android Dialers that will surely assist you in getting rid of your old stock dialers. App Gyaan’s top recommendation is ‘ExDialer’. ‘ExDialer’ enhances the calling experience by providing a sleek and elegant dialer interface. ‘ExDialer’ is quiet a light application that hardly occupies any space and works smoothly. It assists in making hassle free calls to your loved ones. You need not worry if you are not an English language savvy person. The application supports over 30+ languages for you to choose from. Not only this, it supports wipe to call as well as swipe to text which help in making and texting much faster and easier than normal traditional approach in other dialers. In addition to the above, ‘ExDialer’ replaces your contacts application as well. With the right combination of dialer and contact app, ‘ExDialer’ gives you all the facilities that one can expect from a dialer app. If one is fond of VOIP from the Hangout then ‘Hangout Dialer’ would make your life more comfortable. 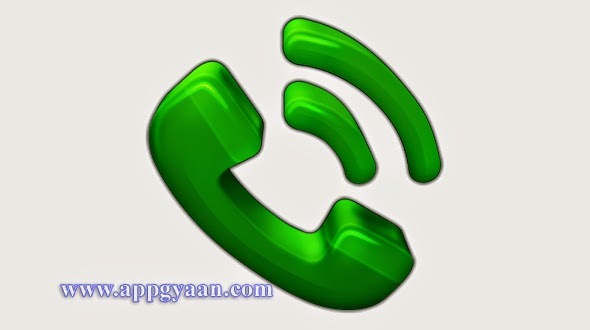 Now, one may call any phone number in the world from Hangout Dialer’ using their data connection. You are required to download and install the ‘Hangouts dialer’ to activate phone calling functionality in the Hangout app. After installation, you need to access all phone calling features directly from Hangouts or use Hangouts Dialer for a shortcut to the dialer screen in Hangouts. Not only this, you can also connect with your Google Voice number to make VOIP calls in the Hangouts app from your Google Voice. ‘Dialapp’ is one of the intelligent applications that understand your requirement of calling whom and at what intervals. ‘Dialapp’ is not just a dialer but it has numerous other features associated with it. With the intelligent algorithms, ‘Dialapp’ analyzes the call patterns in the smart phone and determines who you need to call next. ‘Dialapp’ keeps a separate missed call log that makes you aware of what you have missed in order to call them back. Last but not the least, all the features are enclosed in a beautiful looking theme and you also have an option of changing the theme if you desire. If you are among the large screen lovers’ in smart phones / phablets, ‘RocketDial’ is a good option available which one can try. ‘RocketDial’ is designed especially for the devices with large screens such as Samsung Galaxy Note series or Xperia Series smart phones which are more than 5” screen size. If one is fond of beautiful designs on smart phone devices, then ‘Diler+’ app is for you. The ‘+’ at the end of the ‘Diler’ suggests that there are various other features in the app besides calling and sending texts. ‘Diler+’ works in a tab manner, so just swipe left or right and you would get the functionalities you are looking for. One of the features that make this app distinct is its ability to fetch contact images from Facebook and Google+. The other features include a home screen widget, a birthday reminder, and so on. So, aforesaid were about the five best android Dialers for the different User segments, hope you have gone through our post and would like to share your feedback and suggestions in the box below and your suggestions for the next or upcoming post. For receiving regular updates from App Gyaan, you can subscribe to your Rss Feeds.